More on the flag from Iolani Palace, 2011. After putting up the article from 1918 about the search for the flag from the Palace earlier this week, I went to the Archives just to see. Marked on hoists: Royal Hawaiian Islands. 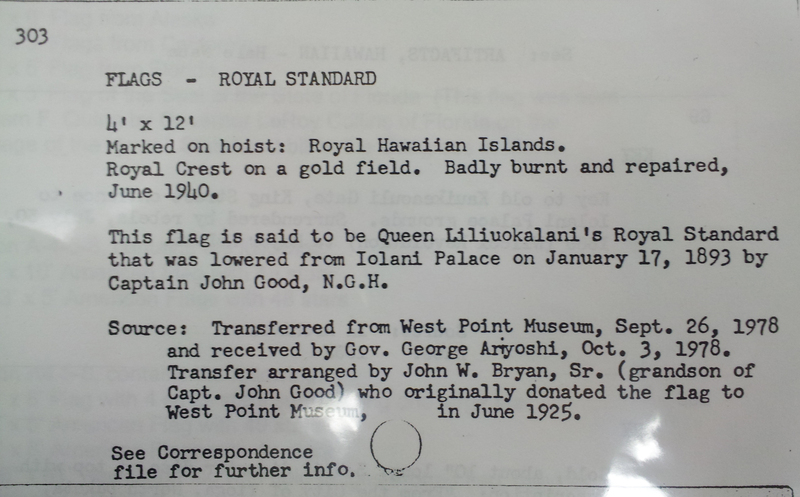 This flag is said to be Queen Liliuokalani’s Royal Standard that was lowered from Iolani Palace on January 17, 1893 by Captain John Good, N. G. H.
Source: Transferred from West Point Museum, Sept. 26, 1978 and received by Gov. 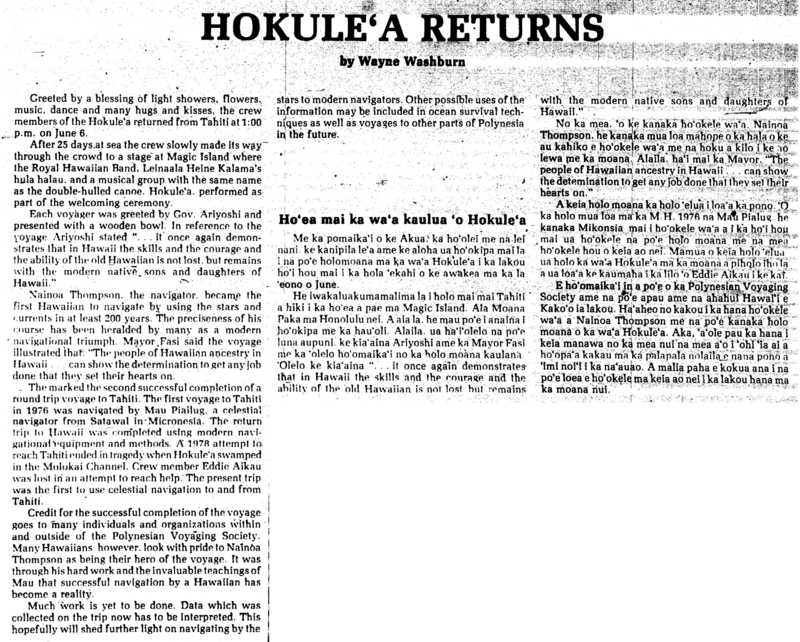 George Ariyoshi, Oct. 3, 1978. Transfer arranged by John W. Bryan, Sr. (grandson of Capt. John Good) who originally donated the flag to West Point Museum, in June 1925. See Correspondence file for further info.